The confrontation, which went viral, occurred on the same day that President Trump signed a law allowing states to deny Title X family-planning funds to health clinics that offer abortions. Flake supported the bill, along with 49 other Senate Republicans. With two Republican women breaking ranks, Vice President Pence cast the tiebreaking vote to force the bill through. As Foxx explained to Flake, the care she receives at Planned Parenthood is helping her take charge of her future and achieve the American dream. “I can’t sit idly by while women like me are countlessly and constantly being ignored on Capitol Hill,” she said in an interview after the exchange. The Title X measure is just one of many unnerving examples of women having their interests ignored—or, worse, threatened—in Washington. 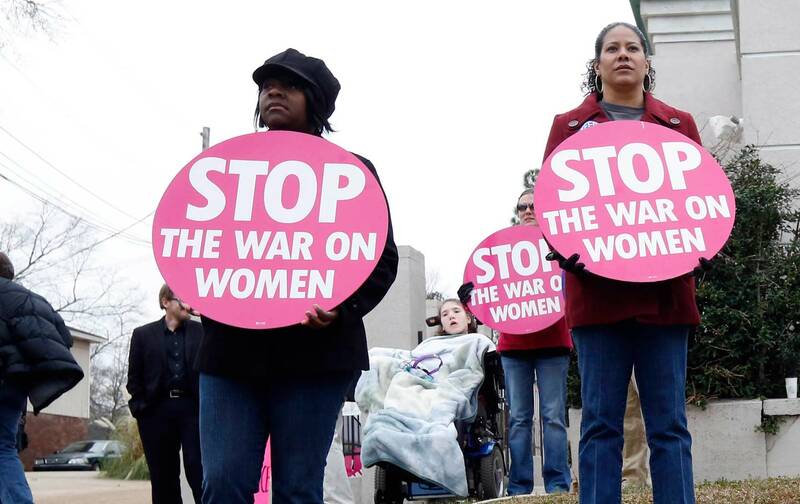 While much of the media and political establishment are gripped by the scandals engulfing the administration, Trump and the Republican Party have been waging war on the health of women everywhere.